OK, this dessert is SERIOUSLY delicious and definitely not for the calorie shy. It makes a nice big bread pudding and yet it lasted only one evening (thank goodness we had company). 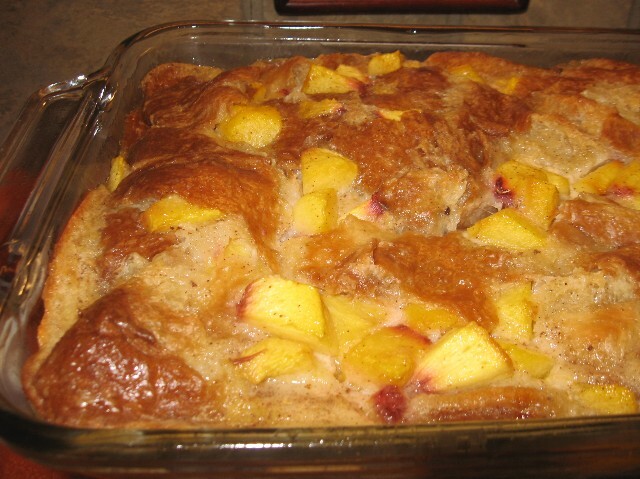 It is a creamy, custard-y (but not heavy) bread pudding made with croissants and fresh peaches. As if that weren't good enough, it is topped with the most delicious butter rum sauce you can imagine. Whisk everything together except the croissants and peaches. Once mixed well, stir in the peaches. Tear the croissants into 1" pieces and add them to the mixture (stir ever so gently, just to moisten...be careful you don't turn the croissants into "mush"). Pour the mixture into a greased 8" x 11" baking dish. Bake in a preheated 325 oven for 50 to 60 minutes (my oven took 55 minutes). 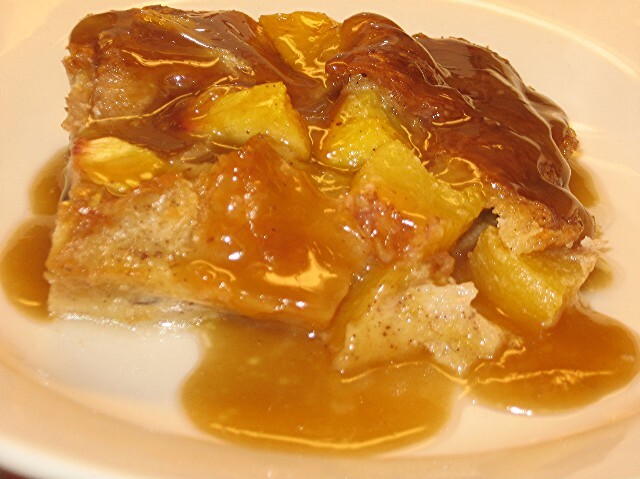 A knife inserted in the center of the bread pudding will come out clean when the bread pudding is done. Let bead pudding cool for about half hour before serving (or serve it chilled). Top with warm butter rum sauce. Refrigerate any leftovers. While bread pudding is baking, Mix the brown sugar, butter and corn syrup in a heavy bottomed sauce pan and bring to a boil. Immediately turn heat down so that the sauce just simmers around the edges and simmer for 1 or 2 minutes (mine was done in 1 minute) or until it is just slightly thickened. Remove from heat and mix in the rum (or rum extract). Let the sauce cool a little before you use it. NOTE: As the butter rum sauce cools to room temperature (which takes quite a while), the butter may separate from the sauce. If it does, just heat it up a little and whisk it again (it will go back together). 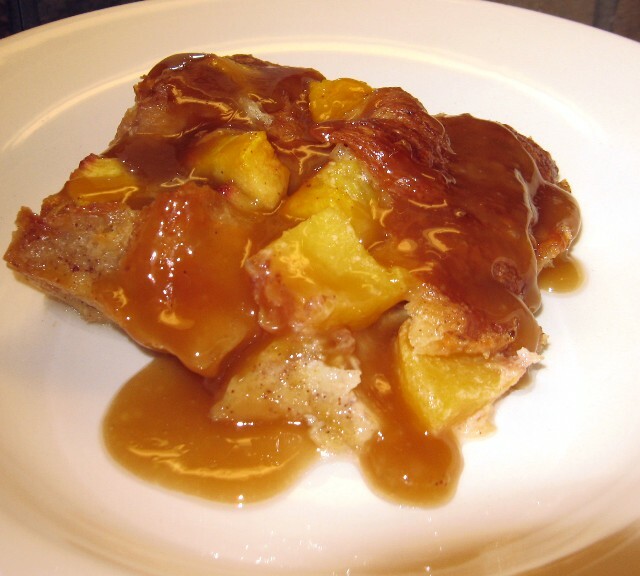 Oh Coleen..a delicious dessert and then the rum sauce tops it all..how delightful is that!! Man, it would have been great to have this at the Peach Cook-Off this year. Looks delicious. Thanks. I enjoy anything made from peaches. Your dish looks delicious! 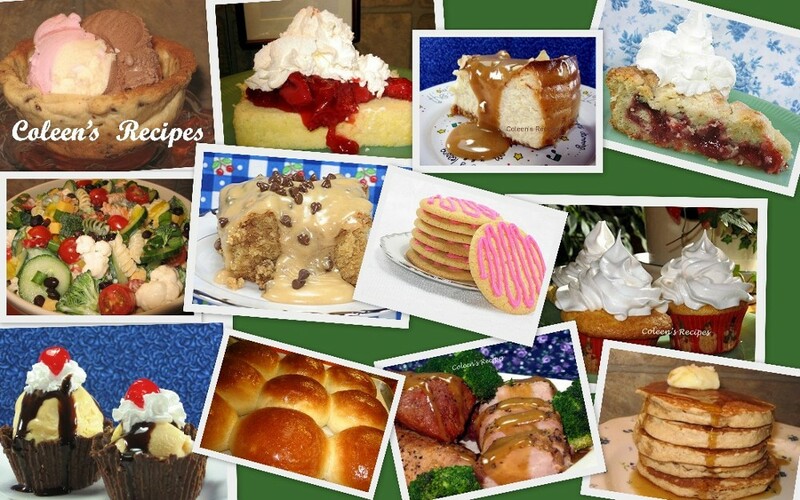 Coleen this looks wickedly yummy! This looks like tomorrow's dessert! That's just mean, woman! Making a sinful, delectable bread pudding out of croissants is something I dream about. Now I have this sauce to add to that fantasy. WANT IT! I am drooling. This looks WONDERFUL! Oh this sounds like heaven! Wish I could eat it right off the page! yum! I love bread budding! I've never thought to use croissants! I just fell off of my chair. Wow!